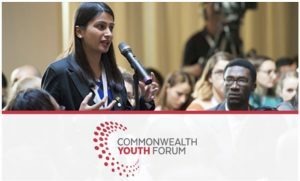 Youth entrepreneurship has been a priority of the Commonwealth’s work for many years, driving such programmes as the Commonwealth Youth Credit Initiative, and the Commonwealth Alliance of Young Entrepreneurs(CAYE). The CAYEs operate 4 x regional coalitions that champion the cause of young entrepreneurs at the local, national, regional and international level, through engaging with governments, the media and the public. The Commonwealth’s Policy Guide on Youth Entrepreneurship, developed jointly with UNCTAD, aims to support policymakers in developing countries to design policies and programmes, and to establish institutions, that will promote youth entrepreneurship and provide the foundation for achieving youth job creation through the development, expansion and growth of youth-led enterprises. The future of the Commonwealth depends on its one billion young people. The Forum provides an opportunity for them to build cross-cultural connections and networks, debate the challenges they face, and agree youth-led initiatives to influence decision makers and ensure that young people have a voice in its future. The Youth Forum also bring forward meaningful recommendations to the Commonwealth Heads of Government Meetings (CHOGM). 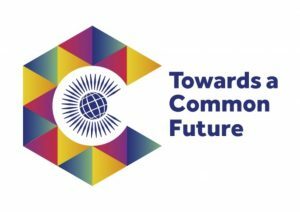 The Commonwealth’s theme for 2018 is “Towards a Common Future” and the 2018 CHOGM, taking place in London in April, reflects this theme by seeking to build a fairer, more sustainable, more secure and more prosperous future for all the peoples of the Commonwealth. Creating decent jobs is at the heart of that ambition, and several of the essays in the next section have been written by young Commonwealth leaders who recognise the importance of youth job creation and want to see the Commonwealth do more to advocate for serious youth job creation policies amongst its member nations.